Adolf HItler was democratically elected in 1933. 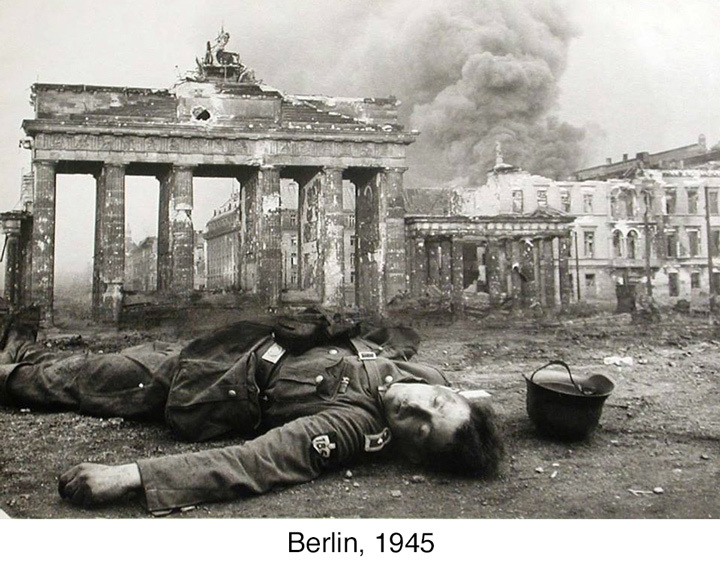 Twelve years later over 50 million people were dead and the entire European continent was in ruins. And yet despite the lessons from history, all of the conditions which led to World War II have fully risen again. Extreme nationalism, open racism, attacks on the press, reckless talk of war, and an overarching narrative of an enemy are everywhere. People have forgotten history. And as media and even the very notion of truth are under siege, now more than ever people need to learn from the past and recognize the seeds of war. I believe the biggest help in steering our culture away from another Holocaust or WWII will come from ordinary people who will stand up against prejudice and the narrative of an enemy. But ordinary people in America do not know history. I have recounted this story hundreds of times and have found most young people don't know it. And very few people I've talked to know the reality and scope of the Holocaust. In the following video Rhonda Fink Whitman interviews college students in Pennsylvania. Students interviewed cannot answer what the Holocaust was, where it happened, or even what country Adolf Hitler was the leader of. College students. “Thank you for telling this story and I will do all I can to help you reach more people to hear this.” This is the goal of the film. To get people learning about the history AND wanting to tell others. I get texts from friends who didn’t know the history before now telling me they watched a documentary on Treblinka or asking me if I saw there was a Holocaust survivor interviewed on NPR. These are people who were not interested in this subject before. We are living in a dangerous time. If you had told someone in Germany in 1933 that electing Adolf Hitler would lead Europe into a second world war they would have looked at you like you had three heads. Europe was still reeling from the devastation of the most destructive event in human history. There was simply no way that something like that could ever happen again. But six years later Germany invaded Poland and set in motion an irreversible course that would not end until over 50 million people were dead. In 1939 it was TOO LATE. Hitler had fully controlled the press for six years. He had slowly removed all of his opponents within Germany. He had built up a massive military complex with the most advanced planes and tanks in the world at a time when no one else considered a second world war conceivable. He was going to invade Poland and nothing was going to stop him. The Germans systematically murdered six million innocent civilians. The most horrific, unfathomable crime in human history hit full operation in 1941 and what people today must understand is that when it began in 1941 it was TOO LATE to stop it. When they are building facilities for the sole purpose of murdering innocent men, women, and children it is TOO LATE. It was in 1933 when Germany adopted a law to remove Jewish children from classrooms that someone needed to stand and fight. It was in 1933 when the Nazis began burning books deemed “un-German” that someone needed to stand up and fight. It was in 1935 when the Nuremberg laws made marriage of ethnic Germans to Jewish people illegal that someone needed to stand up and fight. Today, we have a government pushing to remove DACA immigrants from U.S. classrooms. We have a leader relentlessly assaulting the press as "fake news". This same leader retweets distortions about Muslims as enemies of the American people just as Adolf Hitler promoted the idea of Jews as enemies of the German people. We are living in a dangerous time, but it is not too late. America is still great. It is great because it is full of good people who believe in doing good. And we are all immigrants. We must remember the lessons of history. And we must make sure that all those brave Americans who fought in World War II did not fight in vain.